Did you mean "echo the instruction" or did you mean telling BC what to say? 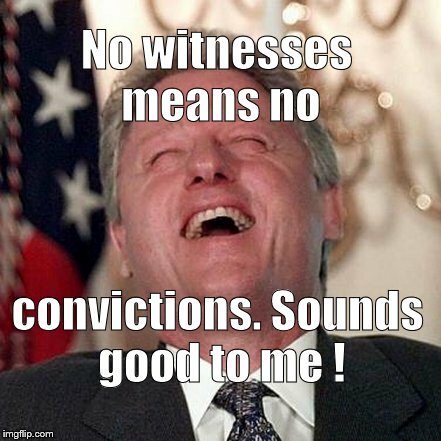 Bill said can't have any witnesses, and Hillary's background comment was a comment while listening in to reinforce the point and presumably have him restate it or something. Some people's experiences teach them that they're above the law. 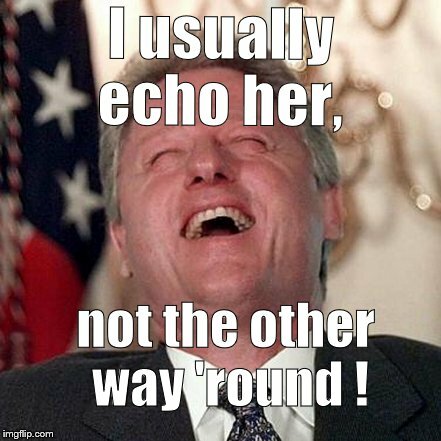 With Bill and HRC you can see how they would get that idea. Have you seen the film Chappaquiddick" yet? Illustrates this perfectly. Alas. "You CANNOT leave any witnesses! 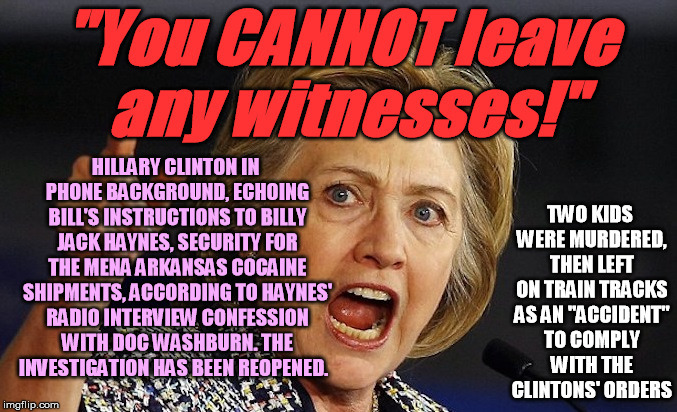 "; TWO KIDS WERE MURDERED, THEN LEFT ON TRAIN TRACKS AS AN "ACCIDENT" TO COMPLY WITH THE CLINTONS' ORDERS; HILLARY CLINTON IN PHONE BACKGROUND, ECHOING BILL'S INSTRUCTIONS TO BILLY JACK HAYNES, SECURITY FOR THE MENA ARKANSAS COCAINE SHIPMENTS, ACCORDING TO HAYNES' RADIO INTERVIEW CONFESSION WITH DOC WASHBURN. THE INVESTIGATION HAS BEEN REOPENED.